Trench collapse kills 20-year-old construction worker in Baltimore. On June 6, 2018, a contractor was on site to repair a backed-up sewer line from a nearby recreation center when the trench collapsed. Rescue workers found no shoring in place and spent 10 hours using hand shovels and other equipment to carefully dig more than 20 feet down to recover the worker. A grim trend shows similar events are likely to continue. Here is a closer look at trench excavation awareness and safety measures designed to avoid these senseless acts of unsafe work conditions. Excavating is recognized as one of the most hazardous construction operations. An excavation is any man-made cut, cavity, trench, or depression in an earth surface formed by earth removal. A trench means a narrow excavation (in relation to its length) made below the surface of the ground. In general, the depth is greater than the width, but the width of a trench (measured at the bottom) is not greater than 15 feet. An unprotected trench can bury an employee under thousands of pounds of soil in seconds and cause severe or fatal injuries. Cave-ins pose the greatest risk with trenching and excavation work and are more likely to result in worker fatalities. A trench is a type of confined space. A confined space is a space that is large enough for an employee to bodily enter, has limited or restricted means for entry and exit, and is not designed for continuous employee occupancy. Although the Confined Spaces standard (29 CFR 1926 subpart AA) excludes certain construction activities, such as – excavations, employers engaged in excavations must comply with the Confined Spaces standard if their employees are exposed to confined space hazards that are not addressed by the Excavations standard (29 CFR 1926 subpart P). Stable Rock – Natural solid mineral matter that can be excavated with vertical sides and remain intact while exposed. Type A Soil – Cohesive soils with an unconfined compressive strength of 1.5 tons per square foot (tsf) or greater. Examples include: clay, silty clay, sandy clay, and clay loam. Type B Soil – Cohesive soils with an unconfined compressive strength greater than 0.5 tsf but less than 1.5 tsf. Examples include: crushed rock, silt, silt loam, and sandy loam. Type C Soil – Cohesive soils with an unconfined compressive strength of 0.5 tsf or less. Examples include: gravel, sand, and loamy sand. Knowing the soil type is a huge deal when pre-planning your project. 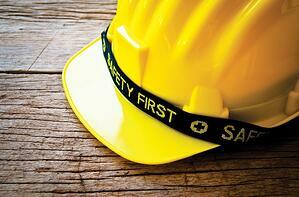 This information helps determine the right equipment needed to ensure the safety of your employees. “To understand numbers, you first have to look at their relationship with each other.” The numbers are 4, 25, 3 and 1. Safe access and egress is required for employees working in trench excavations (4) feet or deeper. Means of egress may be a stairway, ramp, ladder, or other safe means with placement such that lateral movement of employees is (25) feet or less. Ladders must extend at least (3) feet above the top of the trench and be securely attached (tied-off) to prevent movement. Be the better leader and put (1) foot in front of the other towards protecting employees everywhere from the dangers of improper access and egress. Trench sloping, at a safe angle, prevents cave-ins and protects employees. The angle of incline required to prevent a cave-in varies with differences in soil type, environmental conditions of exposure, and application of surcharge loads. Allowable slope angles include: 90˚ for Stable Rock, 53˚ for Type A soil, 45˚ for Type B soil, and 34˚ for Type C soil. Sloping is an excellent protective measure, but space oftentimes works against implementation. If your project is in danger of falling down a slippery slope, then consider shoring up your efforts. Trench shoring is the process of bracing walls of a trench to prevent collapse and cave-ins. It protects employees from the hazards of falling, rolling, or sliding materials. Do not confuse shoring with shielding. Shielding is designed to protect employees but not prevent cave-ins. Shoring does both. Protective systems, such as sloping and shoring, are not only necessary but required to keep your workers safe. No worker should be permitted in an un shored or unprotected excavation or trench no matter how compelling the reason. Your excavation project must include a “competent” person. Trenching and excavation work is dependent on specialized employees capable of identifying existing and predictable hazards and authorized to take prompt corrective measures to eliminate them. Ensure effective training is completed by an individual before he or she is designated a “competent” person on-site. Continual training with every employee involved on the project must go above and beyond. Trenching and excavation projects can change rapidly, so daily morning huddles and pre-shift inspections can provide effective protection against a variety of hazards. Whether your project will last two minutes or two weeks, remember it takes seconds for a cave-in to bury your employees under heavy soil. Join this year’s National Trench Stand Down campaign being held between June 18-23 and visit http://www.nuca.com/tssd for more details.